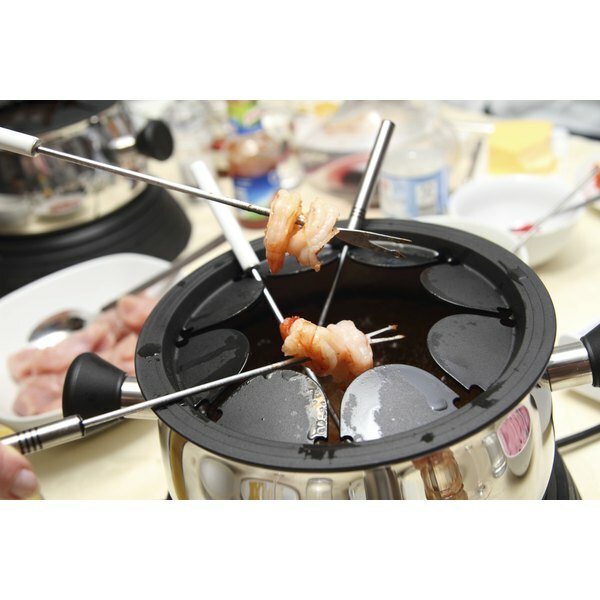 While seafood may not be the first thing that comes to your mind when you hear the word “fondue,” offering shrimp as part of your next fondue party instead of the standard chocolate or cheese sauce could make for a memorable experience. Shrimp is a common seafood choice that cooks quickly, making it ideal for an activity like fondue. 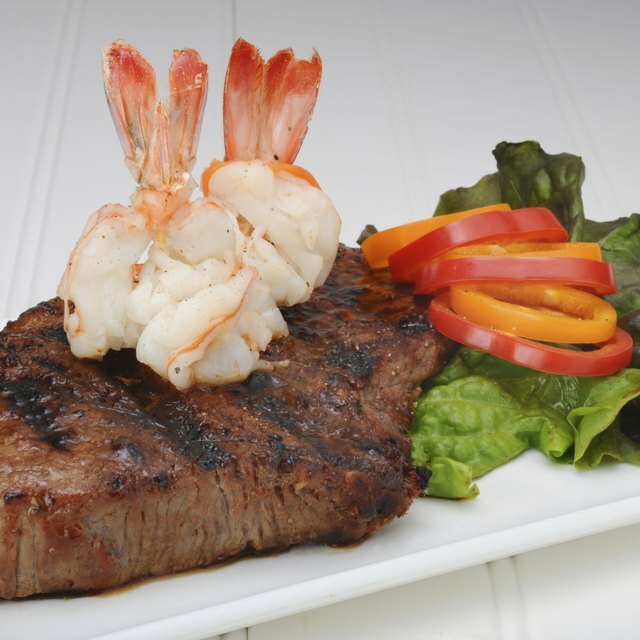 Shrimp also pair well with different flavors, giving you some leeway when selecting a cooking liquid. Add 4 cups chicken broth to a pot and bring it to a boil on your stovetop. Add one clove of minced garlic, 1 tsp. minced ginger, ¼ cup white wine and 1 tsp. each salt and pepper to the broth and let it simmer for 30 minutes. Peel and devein 2 lbs. shrimp, and then run them under cold water to rinse them off. Pat them dry with a paper towel. Light the burner under your fondue pot and then add your broth until the pot is almost full. Reserve the rest of the broth in case you need more. Insert your fondue forks into the shrimp and place them in the broth to cook. Leave the shrimp in the broth until the meat is pink, and then remove and enjoy. Use vegetable or canola oil instead of broth to give the shrimp a different texture. Spice the oil with chili flakes to add some heat. Add different ingredients to your broth, such as green onion, soy sauce or Worcestershire sauce, for a different flavor. Cut your shrimp into bite-size pieces if they seem too large for the fondue pot.